E-planet Educational Services > Blog > Uncategorized > Why Are Business English Soft Skills Important? Do You Measure Up? In an increasingly global world, it is not only necessary to have great Business English language skills for professional development but also to have great communication skills to become a better international communicator. In fact, it has been suggested that becoming too competent in Business English could be counter-productive as it could raise a person’s English level too high and so another non-native speaker may not be able to understand them. 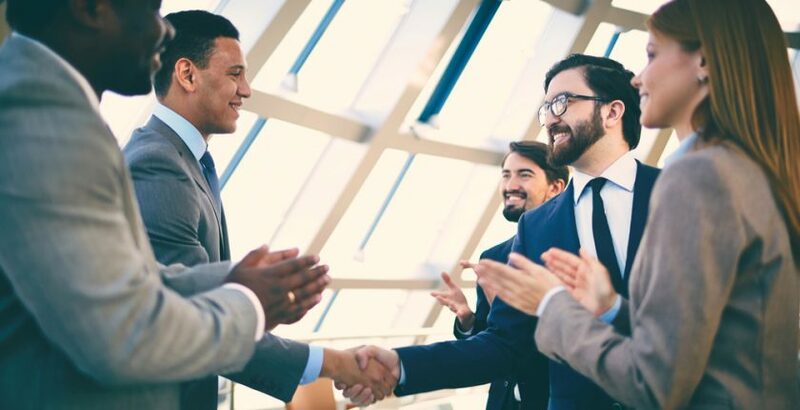 In the business world, it is more important to learn about how to be more strategic with communication than to raise an already good level of Business English. There are roughly seven interpersonal skills that employers look at when employing and promoting employees: building rapport, networking, developing trust, decision making in groups, influencing, managing conflict, and giving and receiving feedback. The right hard skills will often lead employers to offer you an interview but it is the appropriate soft skills that will get you the job and help you keep it. According to this Bloomberg article, 46% of new hires fail in the first 18 months, and of those new hires, 89% fail for reasons associated with attitude.The Mcdonalds report, The Value of Soft Skills to the Economy, published in 2015, highlighted that soft skills will increase an individual’s salary by 15% over their lifetime. Soft skills are important to employers too. Soft skills increase communication and productivity leading to better performance and profits. The Mcdonalds report mentions that the value of soft skills can be of benefit to the economy as a whole. 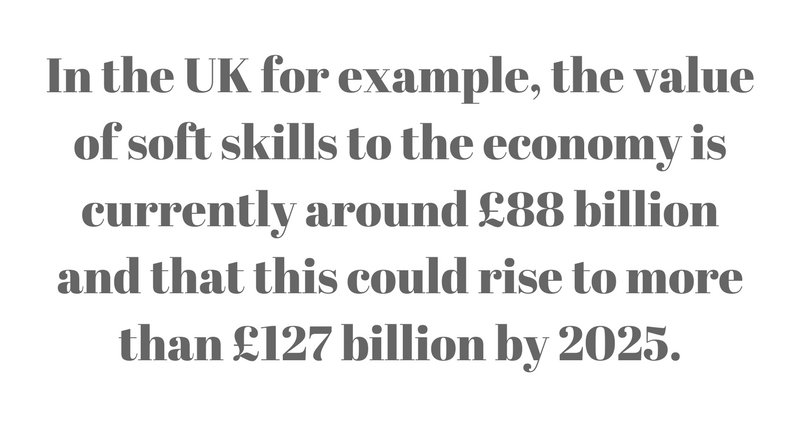 In the UK for example, the report estimates that the value of soft skills to the economy is currently around £88 billion and that this could rise to more than £127 billion by 2025. Knowing how to be a good team player leads to a more collaborative working environment. With less conflict, team members are more communicative, more forthcoming with new ideas and more productive. Working as part of a team means that you also need to learn good negotiation skills and to be able to work as part of a team to make decisions together. Language challenges using business English include toning down local references, idioms and expressions that have no meaning in another part of the world and therefore can be confusing to non-native English speakers. Participants in any professional exchange also need to understand that it may take more time and work to communicate in a language that is not their mother tongue: patience is a necessity. Communication skills go further than simply understanding what is being said. People with incredible communication skills understand the meaning behind what is being said and why. Sometimes this can be difficult as different people have different communication styles. Some people are very direct, this means that they are often understood well but could be considered rude or impolite to others. While others who are quite vague could be considered uncofident or untrustworthy by more direct communicators. Body language is another area that can be confusing. A simple gesture in one country might be a positive response to something while in another it could be considered offensive and rude. It is essential therefore to know the cultural etiquette of the country where you are doing business or the cultural background of the person who have a meeting with. Time-keeping goes further than simply turning up to work on time. Cultural attitudes to time are often something that someone of another culture finds hard to adjust to. Some cultures tend to think that time is money and may want to come to decisions or deals quickly, while in another culture this could be considered as bad business. Time is also regarded differently as well. For example, many Western cultures often consider time to be under their control, while other cultures view time as something that is influenced by other factors such as luck, pre-destiny and God’s will. The advantages of enhancing soft skills for both employers and employees are clear and wide-ranging. If you would like to increase your soft skills or your companies soft skills, take a look at our range of 6-hour workshops that tackle a wide range of topics and skills.